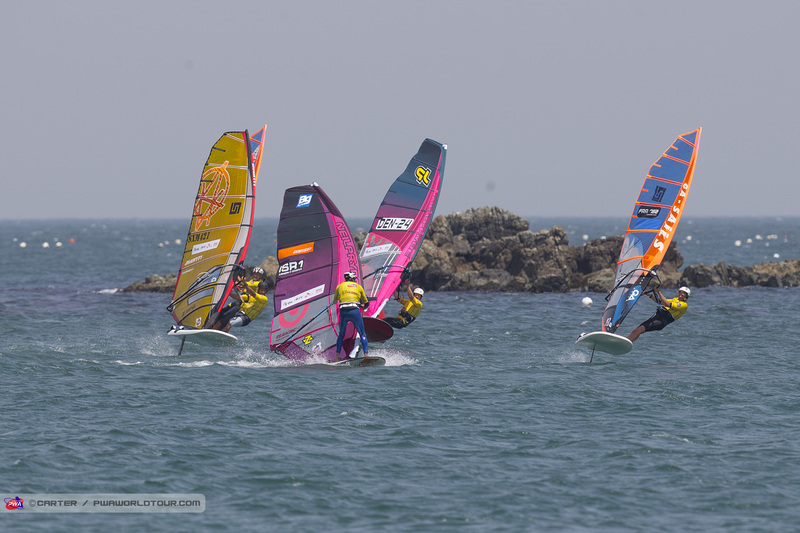 21 days in Asia, with the first stop in Japan already reported on, the second event this year displayed some of the best action we have seen in years! 4 slalom eliminations was run during the event. But not on the limit light wind action which we normally expect from Korea, but strong wind with gusts up to 40 knots and the guys on their small gear most of the time! 2 meter swell and solid chop in between. The slalom could have gone better for Quentel for sure, as these are really his preferred conditions. Speed was good, equipment working as it should, but this time it didnt work out as hoped. Julien had several heat wins, where he showed that he has what it takes, but you need to start in the top 5 to make it and not from the very back. In the slalom after 4 eliminations and one discard, Quentel counted the results 12 , 9 and 13 placing him in 10th for the event. Just as excitingly was the day of foiling that followed. 4 eliminations could be run in one day. 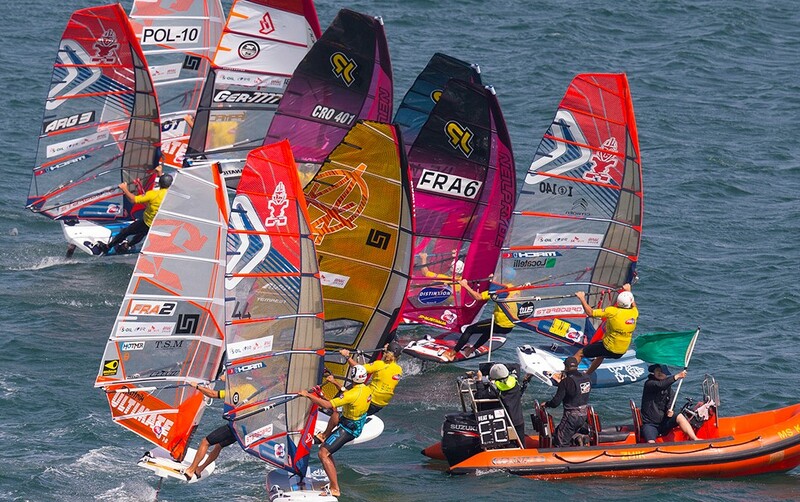 Foiling is exciting and the racing is nerve racking with positions being lost and won in a matter of seconds. 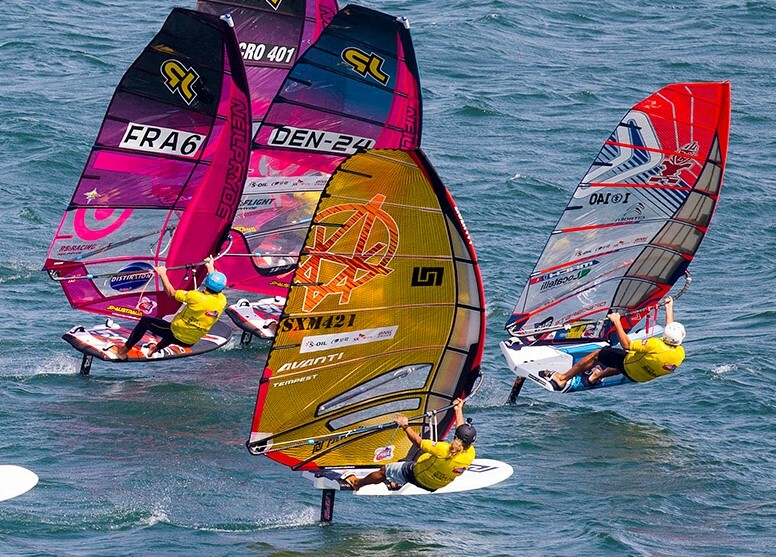 It is much more tactical than slalom and for that maybe also a little more interesting to watch as a competition. The day for foil presented wind up to 25 knots, pushing some guys down on their 7.0 sails, most of the fleet never having foiled in so strong winds. Quentel had chosen to use the 9.2 Tempest for his foil racing. The easy rotating smaller luff pocket and tighter leech makes the sail a bliss on the water and it points upwind like a rocket. The fleet was all showing good skills and it was exciting. a group of guys would pull off early and make a break for the upwind mark, whilst others would go farther upwind before tacking. Reading the course and the wind, as well as a lot of experience from RSX and Formula is clearly a great advantage for the guys out in front. 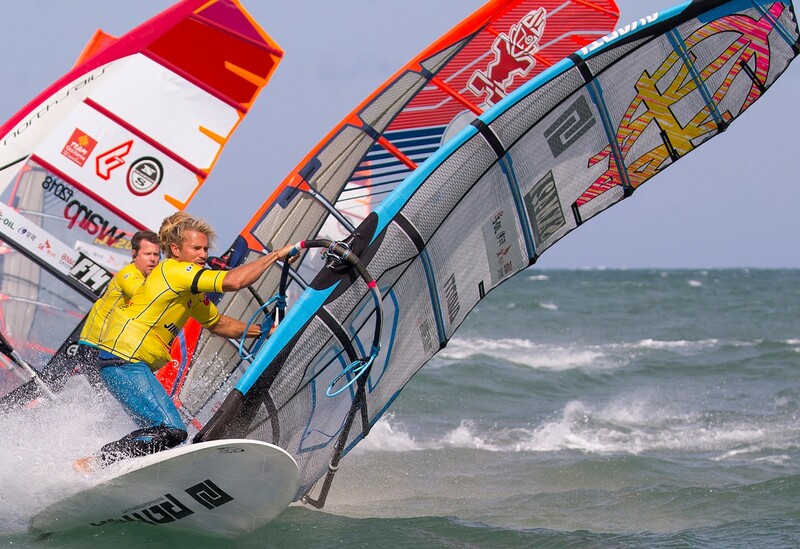 Having spoken to several of the PWA riders after the racing in Korea about the foiling, it is clear that the guys are all loving this new addition to the tour. 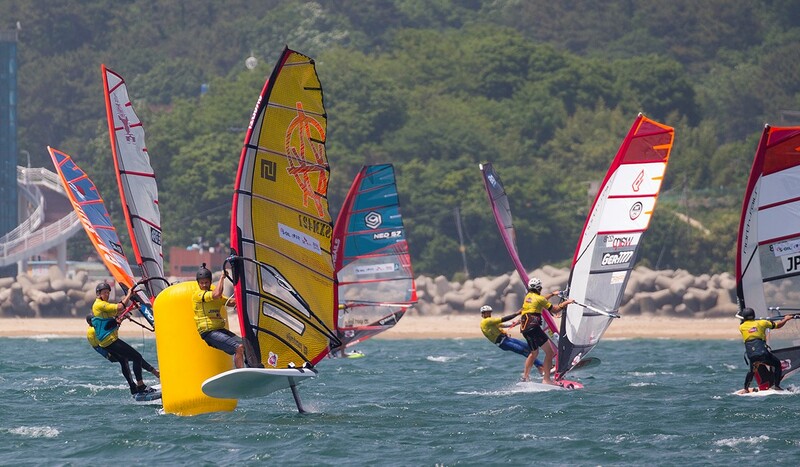 We hope over the years that more and more people will try foiling and that we can get more people on the water. Because where foiling really makes a difference and where we will see the next big push on the gear development is to go in ultra light wind with good speed flying over the water.